Tuan and Mai have a passion of doing something to help visually impaired people. Their wish has gained support quickly among their family and friends. The Light of Love, Eye Surgery Project Sponsored by Tuan-Mai and Friends, was established in 2012. Helps treat blindness from cataracts. Helps underserved patients in Vietnam. Helps patients who are living in rural areas and have never received any other support. Is completely free, including all transportations provided to the patients. 100% of your donation goes to patients. We manage to keep the operation cost reasonably low because there is no service fee and there are many other contributions. To engage and inspire Vietnamese Americans to make a difference in their lives, families and communities through culturally competent social programs. We envision building a Vietnamese American community where everyone is Engaged, Informed, and Inspired to make a difference. We strive to possess in our work values of compassion, commitment, excellence, diversity and innovation because we believe that these same traits are ones that are most important in building a healthy community from village to society, from childhood to maturity and from one generation to the next. ICAN was founded in 2000 by Ven. Thich Phap Chon, Ivy Vuong and Quyen Vuong with the vision of helping children succeed in school and become compassionate leaders in life. Like many other refugees who were uprooted from their birth place in Vietnam, the founders longed to lend a hand to families, friends, neighbors and fellow countrymen whom they left behind. They wanted to give children and families in Vietnam the skills and opportunities to build their own future, much like the way the founders were given skills and opportunities to succeed in America. When it comes to helping victims of natural disasters, Thay Phap Chon likes to take the road less traveled. As ICAN’s spiritual leader, Thay instills and nurtures in ICAN, its volunteers and supporters the sense of compassion - compassion for others and for oneself - which is the foundation of all of ICAN’s programs and approaches. Dr. Tuan received his BS in Bio-Chemistry from UC Davis and his Doctor of Dental Surgery from UCLA. He is also a former student of Saigon Medical University. Dr. Tuan runs his own practice (TM North Valley Dental Care) with over 13 years of experience in the field of dentistry, including family, aesthetic and implant dentistry. He is a member of California Dental Association (CDA) and American Dental Association (ADA). He is also a fellow of the International Congress of Oral Implantologists (ICOI) and a Diplomat of American Dental Implant Association. Dr. Tuan writes about dentistry on Song Manh Magazine and Viet Tribune Weekly Newspaper. 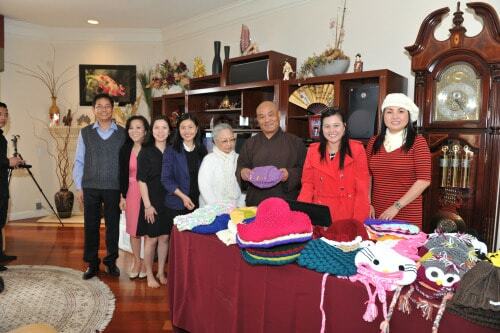 He is also well known in the Vietnamese-American community for his generosity, both with his time and financial contribution to help nonprofit organizations in the Bay area. His dedication and love for his high school sweetheart of 35 years who lost her vision shortly after they fell in love have inspired many Vietnamese people, both young and old. They have been happily married for 28 years, and have two children. At ICAN, in addition to serving on the Board of Directors, Dr. Tuan, with the help of his wife, also leads the Ánh Sáng Tình Thương project which provides cataract surgery for poor elderly people in Vietnam. Cataract is a progessive and painless clouding of lens of the eye. It blocks light, making it difficult to see clearly. Over time, cataract patients lose their vision and become blind. 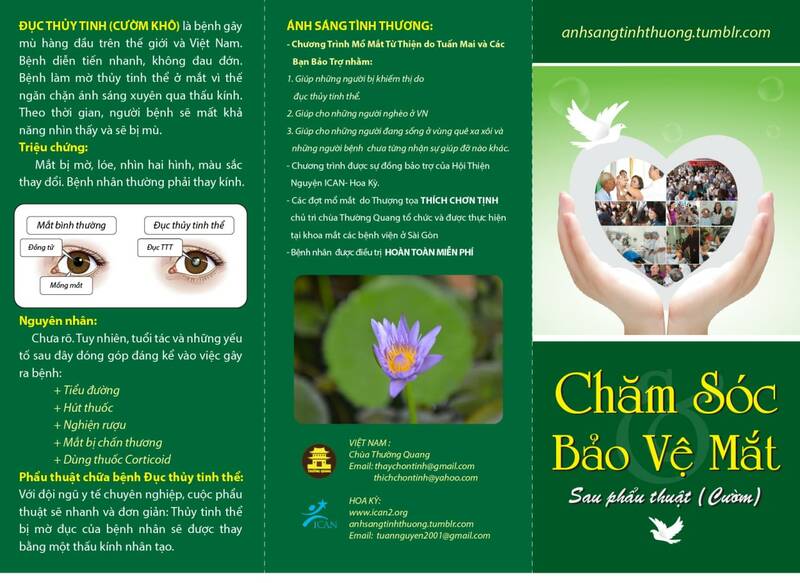 Cataract is the largest cause of blindness in Vietnam and the rest of the world. 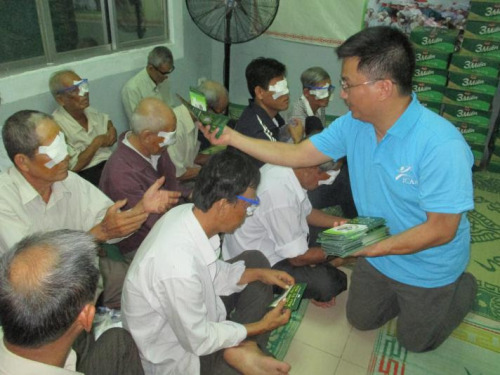 Vietnam is one of countries with the highest rate of blindness by cataracts. This disease accounts for 70% of blindess in Vietnam. 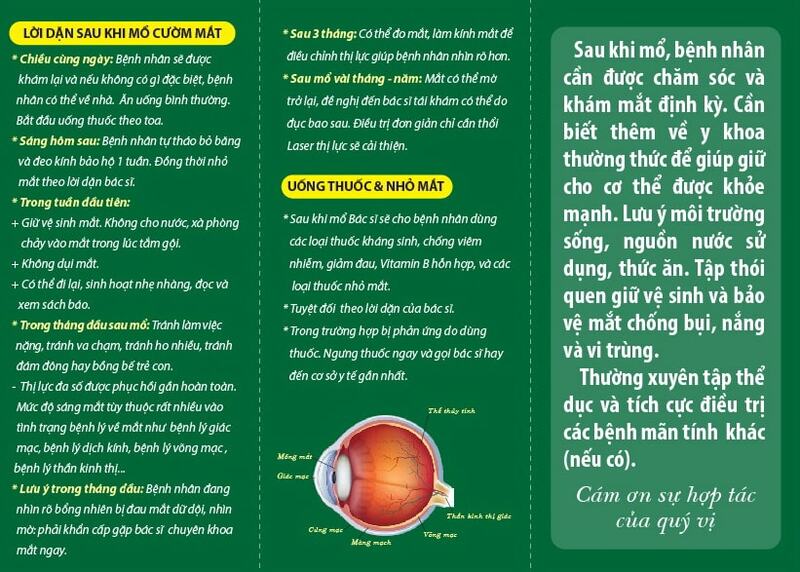 It is estimated that over 1,000,000 Vietnamese people have cataracts. Each year, there are about 170,000 new cataract cases. But there are only about nearly 200,000 cataract and other eye surgery operations performed in 2013. Though a simple operation can rescue the vision for most cataract patients, most patients do not know about it, and even fewer have the opportunity to undergo it. With a donation of only $40.00, we can help a cataract patients regain his or her lost vision. 100% of your donation goes to patients.